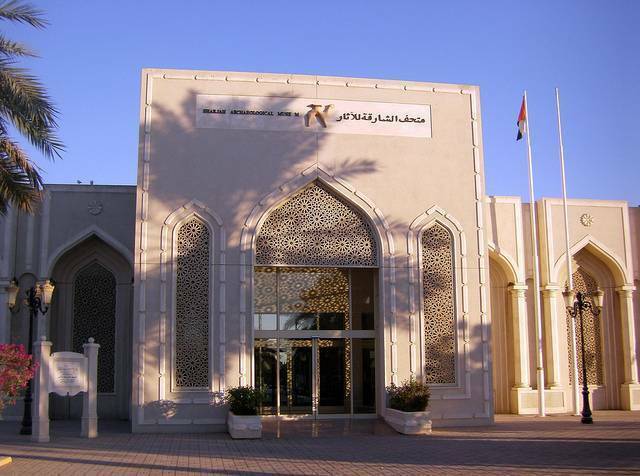 Sharjah Archaeological Museum transports the visitor back to early days of human evolution. Artefacts unearthed at Sharjah dates back to as early as the Stone Age, bronze and Hellenistic ages. The items unearthed and showcased in the museum features oldest graveyard of the south east of the Arab world. Tombs, houses and axes and other tools used by the humans in those times are the reflections of their way of life. There are also 3500 year old bronze spearheads, Iron Age pottery, Roman coins, maps and jewellery. The excavated pieces also inform about the settlements of humans in this city. Walk through the glass cases that store over 115 artefacts and travel through time to this ancient period, Comprehending and poring the survivors of the centuries.